When are you guys getting more end links? - Miata Turbo Forum - Boost cars, acquire cats. When are you guys getting more end links? As the subject says, when do you expect some? And. 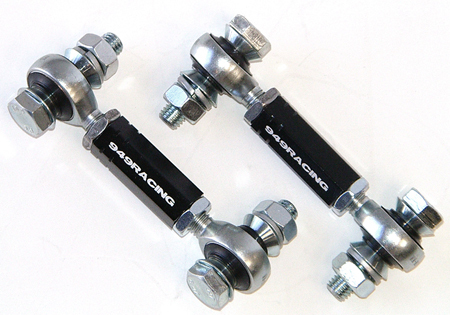 Do you sell replacement parts for gear heads garage end links? I am also very interested in picking up 2 sets. Any ETA on when you are going to be expecting the new endlinks? Hey man. Good to hear from you. For what car? What are you up to? I ask so that I can call dibs next time you sell. Always contact me directly if you have a question. I may not see a question here for a month or so. I am easy to reach. God you shoulda been there. As fun as oversteering around corners is, I really want to get some endlinks and install the NB bar. Add me to the list of people waiting to be able to buy a set. Expected intake temps on the track? Quick Reply: When are you guys getting more end links?